Turkey is in the eye of the storm, the rift between Washington and Ankara simmering. It’s all about President Erdogan’s ties with America’s main adversaries – Russia and Iran. He rejects US sanctions on both countries, intends maintaining normal political and economic relations. It’s also about US efforts to marginalize, weaken, contain and isolate Russia, including Trump regime hardliners wanting no nations buying its S-400 air defense systems – the most sophisticated ones in use, more advanced and effective than America’s long-range surface-to-air Patriot missiles. On Thursday, State Department spokeswoman Heather Nauert (image on the right) said the Trump regime may impose sanctions on any countries contracting to buy Russian S-400s. Remarks by Mitchell and Nauert reflect US political and economic war on Russia, along with promoting sale of US products over foreign ones – especially when bought from nations Trump regime hardliners consider adversaries. 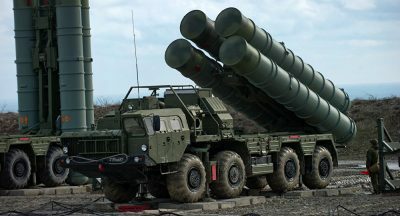 On August 21, Russian state arms exporter Rosoboronexport’s CEO Alexander Mikheev said S-400s will be delivered to Turkey in 2019, fulfilling the contractual agreement between Moscow and Ankara – a Turkish downpayment of the $2.5 billion purchase price already made. Ankara defends its sovereign right to buy weapons and other products from any nations it wishes, free from foreign interference. US efforts to convince Turkey to pull out of its contractual agreement to buy S-400s failed. On Wednesday, Erdogan’s spokesman Ibrahim Kalin said Trump regime policies are at odds with how NATO member states treat each other. Ankara “cannot…keep silent in the face of” unacceptable Trump regime “attacks” – including doubled tariffs on Turkish steel and aluminum exports to America. Republican and undemocratic Dem regimes demand all nations bend to their will. They consider sovereign national rights, recognized under international law, unacceptable. The rift between Washington and Ankara shows no signs of easing.